Manufacturer: Topps Chewing Gun, Inc. 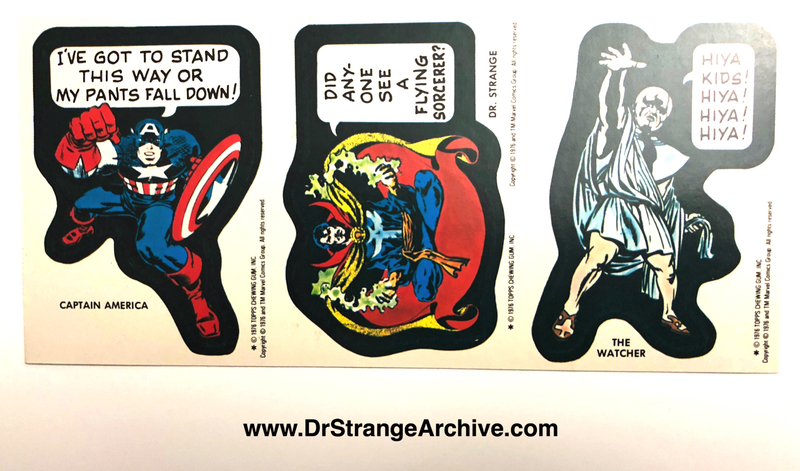 Description: This is an unscored uncut proof sheet of three stickers in the 1976 Marvel Superheroes chewing gun series. 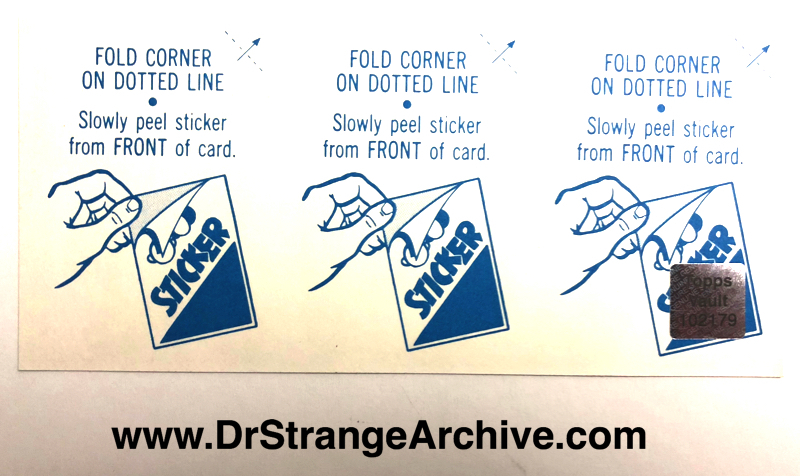 This three sticker card was purchased directly from the Topps Vault and has a certificate of authenticity.